They were established in summer 2007 in Unceded Lands of the Coast Salish. 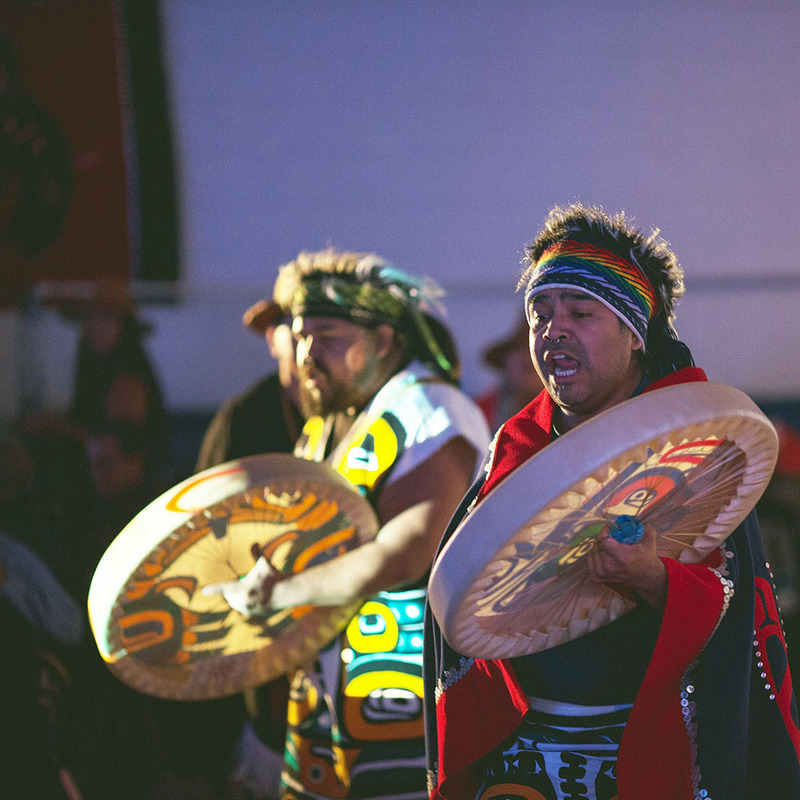 The Kwhlii Gibaygum Nisga’a (KGN) are a dynamic, high energetic group of performers who incorporate the stories, songs & dances of their W̓ahlingigat (Ancestors) into contemporary performances. Every dance member, can trace their ancestry to the Nisga’a, from Ksi-Lisims, the Nass River in what is now Northwestern British Columbia. The @KGNDancers bring innovation and creativity to the table; we take our cultural and traditional roles very much to heart for our various performances whether for a conference or recreational audience. Many of our songs are from time before memory, some songs are new, we also have mask dances, and children’s songs that record a time in history. Kwhlii Gibaygum Nisga’a Traditional Dancers have facilitated and presented workshops and outreach activities on story, song and dance for K-12 schools, post-secondary institutions, and museums.